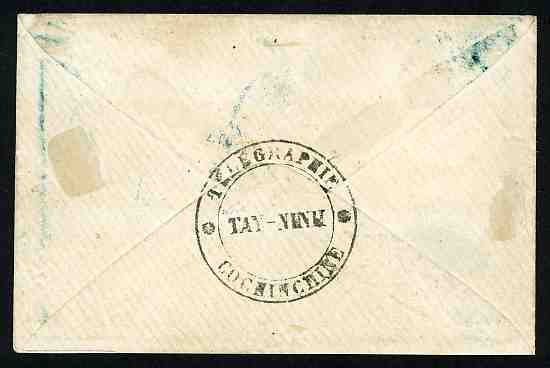 INDO-CHINA, 20c eagle issue with wide margins cancelled "CCN2" and c.d.s "TAY NINH 25 JUIL 68" alongside on TELEGRAPH ENVELOPE "TÉLÉGRAPHIE COCHINCHINE TAY-NINH" (handstamp on reverse), send at the military rate to Paris. The name of the addressee cut out otherwise in extremely fine condition. Signed Calves. 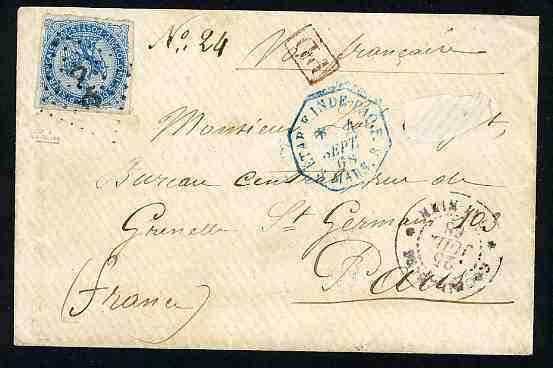 Franked telegram covers from Cochinchina are major rarities.